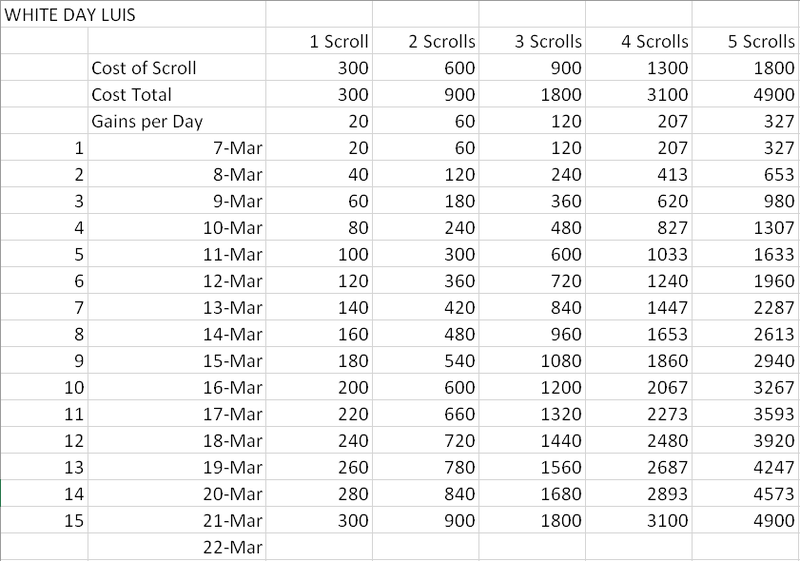 Here's the table for spending masks on the scroll. Keep in mind this table is ONLY for purchasing with masks. This does not account for the scroll pieces. Going only by the masks, you will max out on x4 potential. To get the x5 potential, you have to get the scroll pieces from prestige awards and drops. That said, it is possible to get only x3 potential and get to x5 solely on scroll pieces. Happy Grinding! Last edited by Matamume; 03-07-2019, 11:41 AM. Which difficulty do you recommend farming for this? I know Carnage has 10s and card flips gem purchases are the way to go for there. But is Elite the most cost efficient again? Too early to say. I really don't want to spend the gems on card flips, because that will really eat away at my gems. :< I'm going to say yes on Elite though, since the AP cost is so great here. It doesn't quite specify what quest difficulty gives a chance at a scroll piece. Albus any idea if it's Elite+, Arcadia+, or Carnage only? 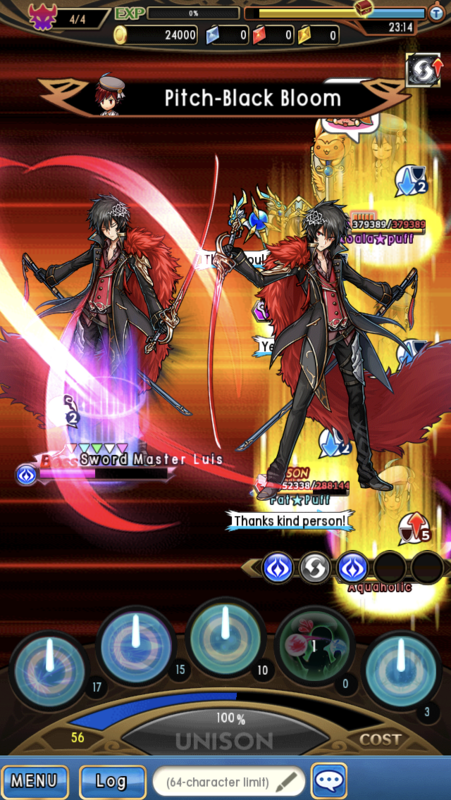 It only says time bonus on global notification, but on your JPUL post it just says "hardest difficulties." Would you be able to elaborate? Last edited by Albus; 03-08-2019, 12:15 PM. Is this event gonna come back? Because honestly... Im done with this crap. I dropped the game for a while because better stuff came out. First thing I come back to is an event where I have to grind 24/7 because the masks never drop from the chests in Arcadia, and the I never get the masks from the bonus cards, and still haven't gotten a single scroll piece from drops. I want to max him out, but it's just not worth it. On the bright side. We’ll probably get the two extra pieces of scroll since this is a better quest to run than the crappy wind ninja event that returned.